Holidays, Season Changing, Cold Weather and Eating Junk....All things that can cause you to break out and ruin your skin. Doesn't matter how old or young you are, breaking out is something we are all susceptible to. Actually for me it seems like once I hit 30, my skin broke out more...Hormones? Who knows what it is, but as teenager I had perfect skin...LOL Now I tend to still have pretty good skin, but every now and again a break out/pimple creeps up on me. The stress and eating of the holidays doesn't help my skin stay clear. I find that its important to have a good skin care routine to help prevent those nasty break out and keep my skin looking young and fresh. It really doesn't matter if you use fancy department store products or drug store buys, as long as you do something to keep skin clean and clear. Me personally I prefer drug store products, not only are they accessible and affordable to everyone, but they work just as well as the fancy stuff. Neutrogena is one of those products you can find almost every where. I am currently trying out their Pink Grapefruit Oil Free line of products. These 3 products will hopefully get me through the holidays pimple free!! Oil Free Acne Wash - Pink Grapefruit Foaming Scrub, has small beads in it to help exfoliate gently and remove oil, dirt and any impurities. The grapefruit scent is awesome which gives you a little pep and invigorate your skin. After using it, my skin felt so smooth and fresh. Oil Free Acne Wash - Pink Grapefruit Facial Wash, this also has the delicious scent, helps you wake up if you use it in the morning. I liked foaming action and leaves your skin squeaky clean! 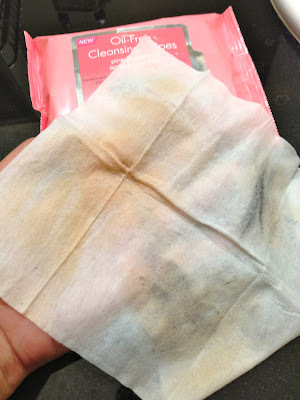 Oil Free Cleansing Wipes - Pink Grapefruit Acne Prone Skin, although I don't have acne, these wipes do a the job of removing all the junk on your skin. The package doesn't say they are made to remove makeup, but they do! I used them to get rid of makeup, dirt, oil and any other yucky stuff on my skin. The do give your skin a little tingle with natural grapefruit extract. Overall Neutrogena Pink Grapefruit products smell great and work really well. My skin feels really clean and fresh after each use. I plan on using them through out the entire holiday season and hope to be pimple free until the new year. Can't have those nasty blemishes show up on all my holiday photos and outfit post. 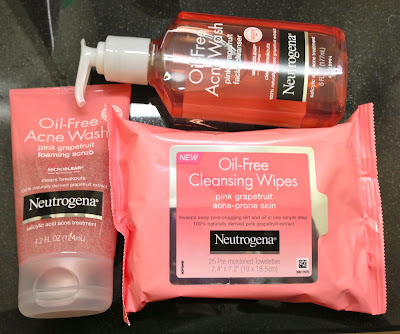 If your in the market to try a new skin care routine for this season, check out Neutrogena Pink Grapefruit and all their other great products. I love the affordability and availability of all their products. Are you a fan of Neutrogena? Which products have you tried from Neutrogena? What are your holiday skin care secrets...do tell! *This is a paid post and products provided for review c/o Neutorgena, but my honest and personal opinion of the product. For best results you should always try out products for yourself. I actually love this line! I love the smell. mmm I'm a neutrogena girl! It's the only thing that doesn't make my face feel tight and dry. 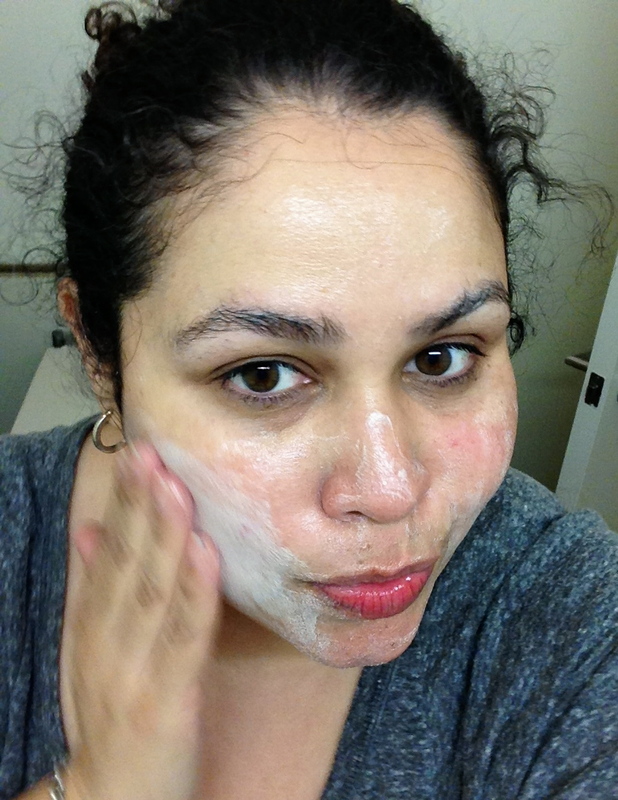 I switch up from the cleansing creme to the foaming face wash depending on the time of year. I love Neutrogena! I use the Redness Soothing line because I have rosacea, which BTW, is a very common problem for Latinas. My computer has been a hot mess (I am at hard drive capacity) and I'm sorry I missed this and the twitter party. That would have been so fun! A Rolex and other valuables were stolen in a heist that saw $165 of jewellery stolen from a home in Melbourne's southeast. Police believe offenders forced entry replica rolex into a home on Munro St in Brighton between 9.15am and 2.10pm on December 2. The stolen items include a Rolex Oyster Perpetual watch, a men's Jubilee gold watch with diamonds inset on its face and an 18ct yellow gold men's ring with 65 diamonds and geometrical patterning. Police have released images of a ring and watch similar to the cheap rolex sale stolen belongings and appealed for anyone with information to contact Crime Stoppers on 1800 333 000 or submit a confidential crime report to rolex shop.